It’s that time of year again! Time to start thinking about getting the kids ready for another round of school in the fall. With that, usually comes a whole new wardrobe which can be a drain on your budget, especially if you have lots of little ones to shop for! 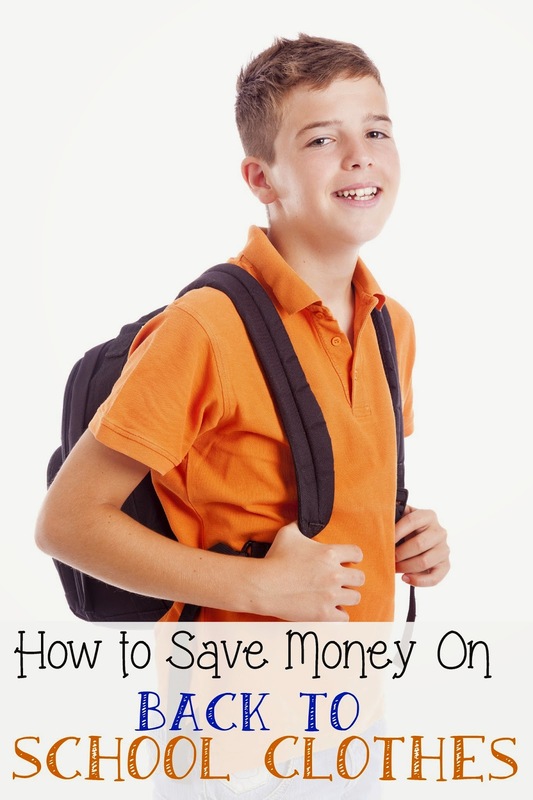 Here are some tips for saving money on school clothes this fall. Make a budget. This seems pretty obvious, but if you are able to make a budget, you won’t find yourself in trouble when you realize you spent too much later. Don’t discount thrift stores. They can often be sources of new or very gently used clothing. Many times, the tags are still attached. You can find brands names, too. Start shopping early as many early sales start in July or the beginning or August. If you can’t make it then, try to go right after school starts and catch the “leftover sales” when there will be discounts on stuff that is over stocked. Convert summer clothes into cool weather clothes with just a couple modifications. For instance, polo tops and tees are great for any time of the year with a little layering and skirts go great with leggings. You can also shop end of season sales on summer clothing and make outfits with layers you buy for them. Buy some basics and dress them up with accessories. Leggings and tunic tops for girls are great and plain t-shirts and separates are good for boys. Add in some belts, vests, scarves and jewelry to mix and match. See what you have from last year that still fits and do an update by purchasing separates that go with them to fill in the gaps. Hold a clothing swap. Do you have friends or neighbors with kids just a couple years older or younger than your own? Hold a back to school clothing swap and trade each other outfits for the upcoming school year. Not only will you save loads of money, but you will have extra closet room for new stuff when you get rid of your old stuff. While at the thrift store, donate some of your old stuff. Many times, thrift stores offer coupons that give you a percentage off or a dollars off amount for every bag of clothing you donate to them to be used at a later date. Donate now and shop later for what you need. Whatever you do, don’t sign up for new store credit card offers that give you a percentage off at the register just for signing up and charging your first purchase. You will come to regret that and many people end up spending far more money than they were going to by getting trapped in this offer. Let your kids know up front that you won’t be spending a lot of money. If they are old enough, let them know what your budget is. If you can fit it in, allow one splurge item each. Check out daily deals websites for savings on store credit. Many times, you can get some store credit at stores like sears for a discounted price on these types of websites. YES!! This is perfect! Thanks for sharing at Tips and Tricks!